Good Afternoon you beauty babes. 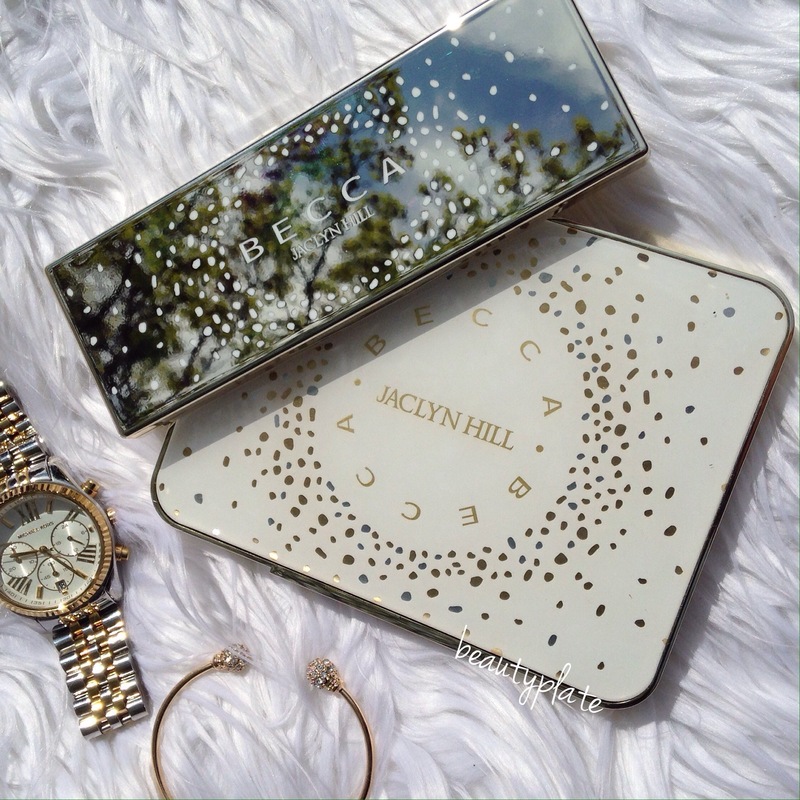 So I don’t know if many of you are caught up to Speed on the latest controversy between Becca Cosmetics X Jaclyn Hill Champagne Glow Collection Eyeshadow palette. So if not, I am here to tell you. I received a PR package a little while back that contained the whole BECCA Cosmetics Champagne Glow Collection to review and post here on my blog. Warmer weather and life just got a little busy, so I’ve been kind of sitting on a not finished blog post about it. I was going to blog the whole collection together but because of this issue, I am going to post about the eyeshadows now. The rest of the collection, I will do in a separate post. The Champagne Glow Eyeshadow Palette was $40 and available for a short few hours on the Sephora site May 26th. Then was to be released in Sephora stores on this coming June 16th. 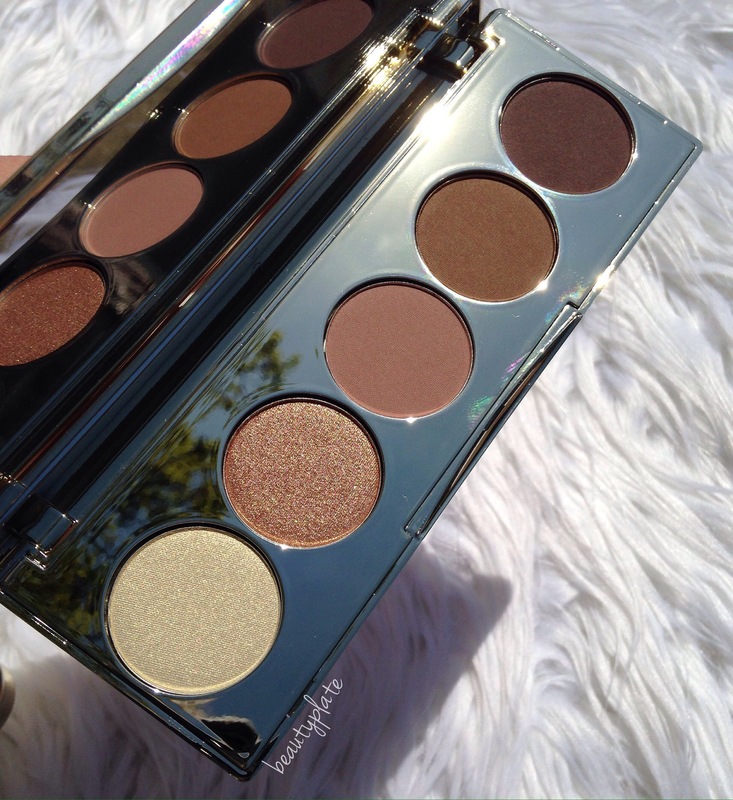 The BECCAxJaclynHill Eyeshadow palette consists of five shadows. 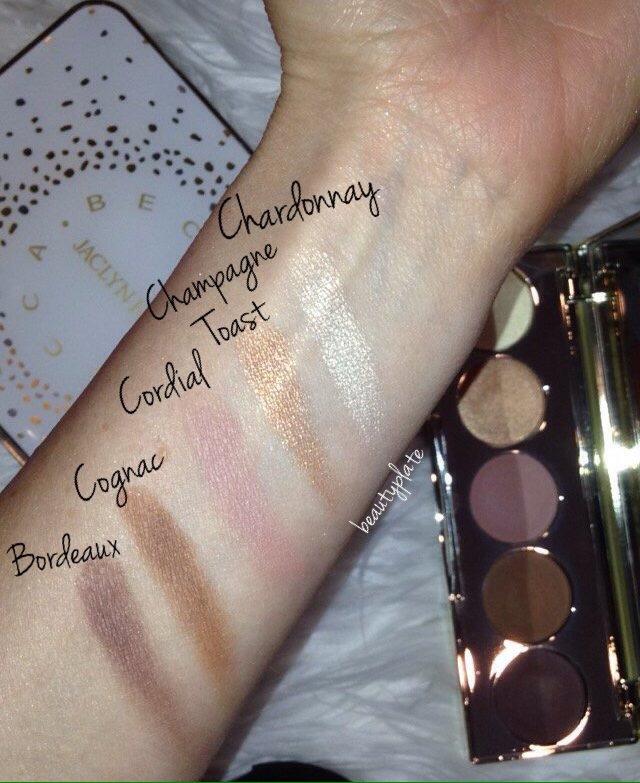 ONE shade and only 1 shade, Chanpagne Toast, was made by Ms. Jaclyn Hill herself. That shade was to be a new addition to compliment her Champage and Prosecco Pop Face Palette. In this Limited Edition eyeshadow palette, you get 2 shimmer and 3 matte shadows. Here’s a look at that beautiful palette. I honestly LOVE every color, the color story to this palette is Perfect! Such easy colors to pair for a daytime look with a deep color to transition your look to a night out. These swatched beautifully for me. NOT Patchy NOT dry NOT cakey. They are the right amount of pigment, where I could use a heavier hand to deepen the color if I wanted to. Also, I don’t have to worry about using a light hand afraid of applying too much for daytime/office use. I LOVE this palette. I have heard only good feedback from all my friends and followers about their own palettes. No bad words spoken of it. The only complaint I heard about was, the palette color choices were similar to colors these beauty lovers had in their makeup bags, so they didn’t feel the NEED to own this, along with the price that was attached to it. Totally Understandable. I get that. So last night, I was watching SnapChat videos and I started watching Jaclyn Hills stories. She was talking about her collab with Becca and the eyeshadow palette and how BECCA and Her came to the agreement to discontinue the Eyeshadow Palette. So, there’s some controversy going on about the distributor who manufactured this eyeshadow palette. 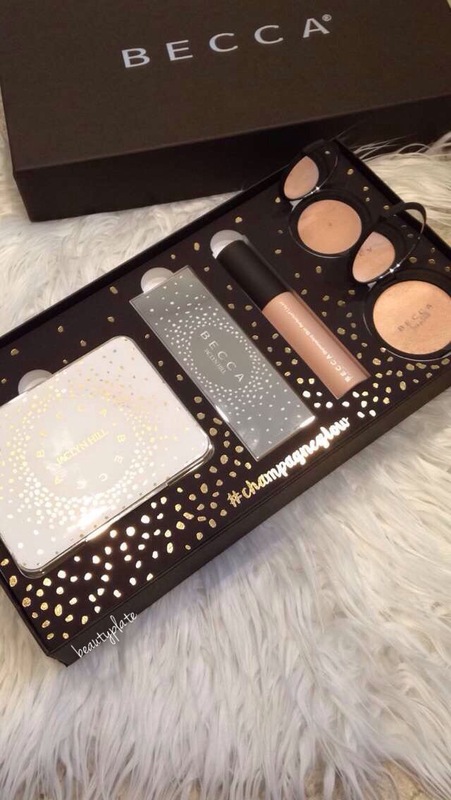 Supposedly BECCA wanted it to be released with the rest of the Champagne Glow collection. And with the short time-frame they had to create it, they had to use a different company to make the palettes. Someone, who they felt, could make it exactly like the MAIN company BECCA uses for the rest of their line. Not sure why this was done, but maybe the said company was busy with packaging another brand and couldn’t fit BECCA in. Who knows. Hop topic right now is over the manufacturing company used, product quality, it’s ingredients, and this formula. I myself, honestly can’t say the formula has changed because this is the only eyeshadow palette I own from Becca. I don’t have nothing else to compare it to. BUT… I CAN say, I truly am enjoying my palette and like it very much. I just feel everybody has a different preference on formulas, textures, and pigmentation. Not Everyone is going to like something, but also not everyone is going to dislike something either. Can’t make everyone happy right? Due to this unfortunate mishap, BECCA Cosmetics and Jaclyn Hill have both come to a conclusion to discontinue the Limited Edition eyeshadow palette and it WILL NOT be released June 16th. I feel this is a little too extreme choice, because like I said before, most people I have talked to is loving and enjoying theirs. There’s also so many others who STILL want to buy the palette because they really like the color story in this palette and the BECCA Brand itself. For those who are unhappy, Sephora will honor your return for a full refund. Check with your store what steps are needed to do so. Do you think they made the right choice to pull it completely? Or do you think they should remake it with their usual manufacturing company and release the palette at a later date? Do you own this palette? Love to hear what you think!